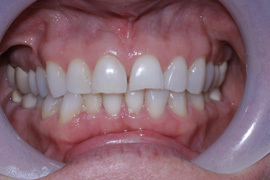 This is a 25 year old female patient who had porcelain veneers placed to correct her misaligned and misshaped upper front teeth. 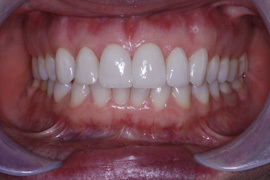 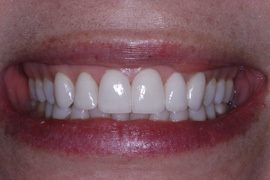 She also had a laser gingival re-contouring to make her teeth and gums appear more even and symmetrical. 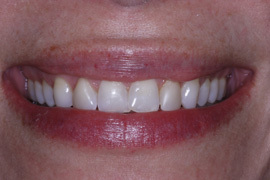 Her procedure was done in two appointments in a course of two weeks with minimal discomfort and only slight reshaping of her teeth to accept the veneers. 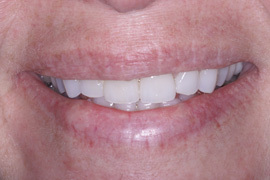 This is a 48 year old woman who had veneers placed on the two front upper teeth to correct ware, chipping and close space. 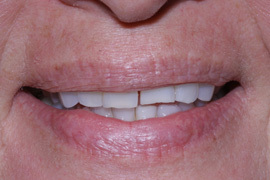 She wanted her smile to look as natural as possible, which is why we incorporated a little bit of discrepancy in shape between her front teeth to match her existing natural teeth. 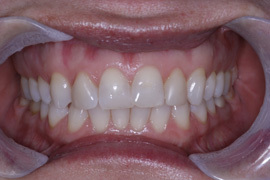 The color of the two anterior veneers is perfectly matched to her natural tooth color. 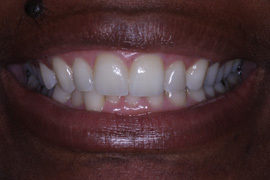 This is a 35 year old woman who had whitening and veneers done on her upper six front teeth to correct misalignment and brighten her smile. 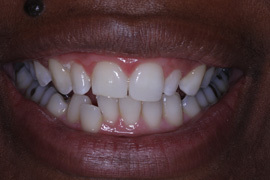 The procedure was completed in 3 weeks and needed minimal re-countering of her natural tooth structure. 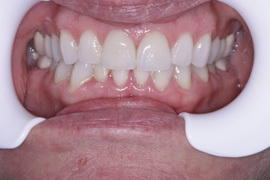 Contact Dr.Olga Malkin from Tribeca Advanced dentistry today!